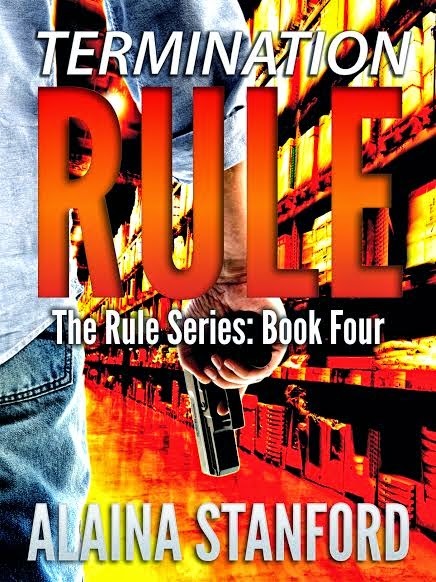 Is everyone ready to see the Cover to the newest book in Alaina Stanford's Rule Series?? Ok first let's give you some background for those who aren't familiar with this author or series. Ok now for the cover!! The best rule to avoid an active shooter is prevention. But what happens when prevention doesn't work? Jake's first job working in the warehouse for Mason introduces him to Devin, a retired undercover police officer. As head of security for the entire contact center complex Devin's influence gives Jake the courage to save a young office assistant, Mia from Paul's unwanted advance. When Paul is terminated and returns to the complex seeking revenge Jake turns to his new mentor for help. Will Jake escape the active shooter? Will he be the hero once more and save Mia from a fate worse than death? Feel free to leave a comment and don't forget to go get the book!